Would you like great comprehensible input without the exhausting song-and-dance? 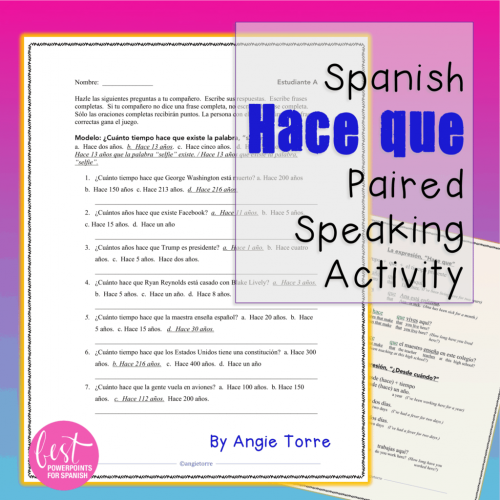 This video and accompanying activities will keep your students engaged as they learn the Spanish Body and Health vocabulary. Then, Melanie calls her boss to tell him she can’t work that day (She’s faking it.) He keeps asking her how long she has been sick, had a fever, etc, using the expression, “hace …que”. Later, she suffers from a sunburn.